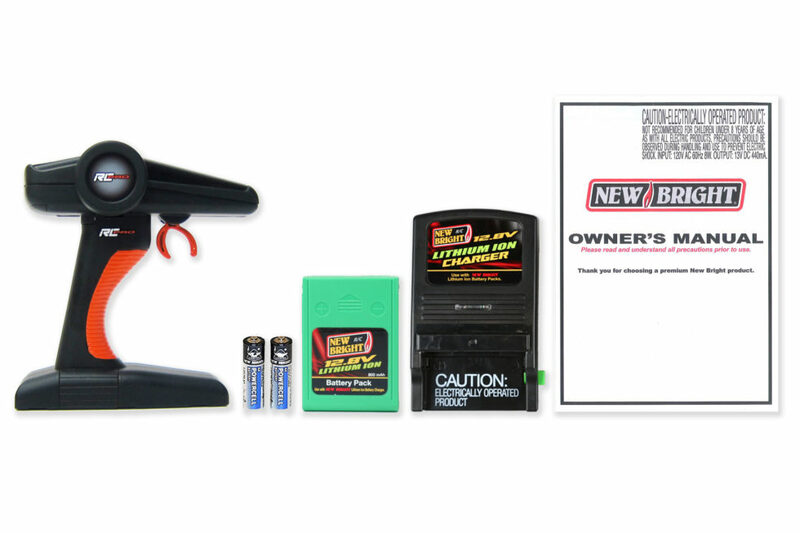 R/C PRO Plus Menace | New Bright Industrial Co. The New Bright 1:8 Scale (20″) R/C PRO Plus Menace is a voracious beast. 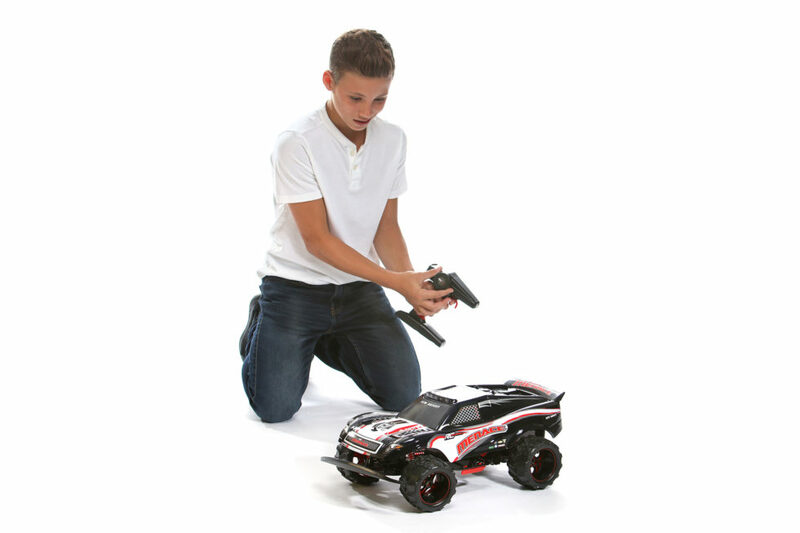 Now featuring 2.4 GHz Technology you can stir up more trouble by racing up to 12 vehicles at once! The new R/C PRO Plus transmitter dashboard display lets your monitor vehicle speed and battery level right at your fingertips. The lightweight and durable, polycarbonate body is ready to perform, while the rechargeable 12.8 Volt Lithium Ion battery pack provides long lasting power. Your friends won’t know what clobbered ’em. Ready to run, all batteries included.